While surfing the web, I sometimes come across some useful tools, that help me work more efficient. And I like to think that these tools can be useful for you too. So, here I am, sharing them with you. If you are a amateur photographer and/or you share photos on a regular basis on the web. Then you might want to add your copyright text or image on your photos to protect it. CopyRight2Image might just be the tool for you. You can add your copyright to all your photos at once and that with a single click! This tool is just perfect for when you just bought a new computer or you did a full wipe. This tool, Ninite, makes it so easy for you to download and install all the apps you need, all in one time. Go to the website, and select the programs you want to install. Click ‘GetInstaller’, open it up and that’s it. Ninite will download and install all the programs you have chosen. Easy! DeskPins is awesome. It allows you to keep any window on top of all the others. After installing this tool, you’ll see a red pin in your taskbar. By just clicking this red pin and clicking your window you want to have on top, it will make it stick. You can easly unpin it again by clicking the red pin on the window. Very useful tool! This tool, Image Resizer for Windows, lets you resize one or more selected images directly from Windows Explorer by right-clicking the images. You can choose from popular dimensions or you can set your own dimension. Can be very helpful. WizMouse is by far my most favorite tool. Windows 8 and 10 has the ability to easily put 2 screens side by side. Let me explain: by using Windows Key + Arrow Key you can put your window on to any side ( you can also drag your window to one side) and you get a selection of windows to put on the other side. But one thing is missing here. If you have 2 documents side by side, you want to scroll in both of them. 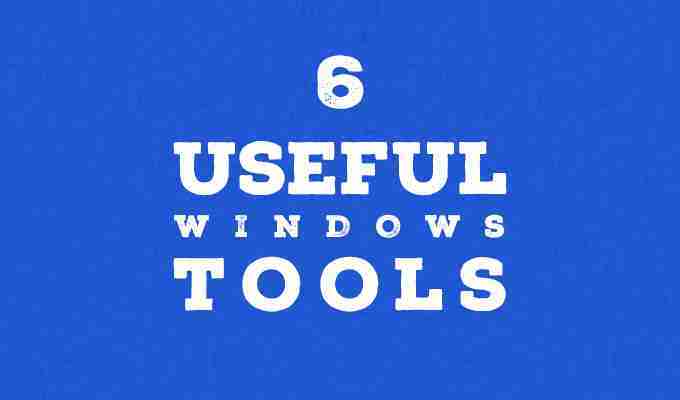 Without this tool, you first have to select the window where you want to scroll in. Can be very disturbing whenever you are reading 1 of the 2 documents but the other document, the one you are not reading, is selected and you start scrolling,.. With this tool, you can scroll the document without clicking. You can scroll wherever your mouse-pointer is. This is such a must have! The name of this tool says it all. You can record your screen and it will save it directly to an animated gif. You can also add text, subtitles, frames, filters,..
Can be very helpful whenever you need to explain and show something to your friends and family over the internet.